PRODUCT INFORMATION: Brand new boxed and comes as 4 paper sheets creating one giant wallpaper mural. Design: Disney. Finish: Matt. Brand: Consalnet. Search tags: Wall mural photo wallpaper, giant wall art decor, Kids bedroom wallpaper, full size wall wallpaper, photo mural wallpaper, children's room wall mural, Disney wallpaper, wall mural giant size. 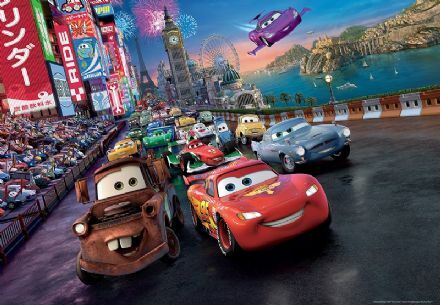 Disney full size standard wall wallpaper mural. 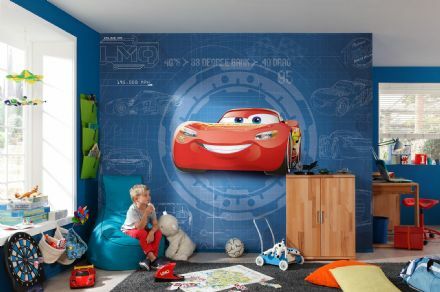 Blue wall decoration, Disney Cars 3 movie Characters. Wallpaper mural Disney.